Observations on Reversionary Payments: On Schemes for Providing Annuities for Widows, and for Pensions in Old Age - IFA Vintage and Current Book Library - Index Fund Advisors, Inc. 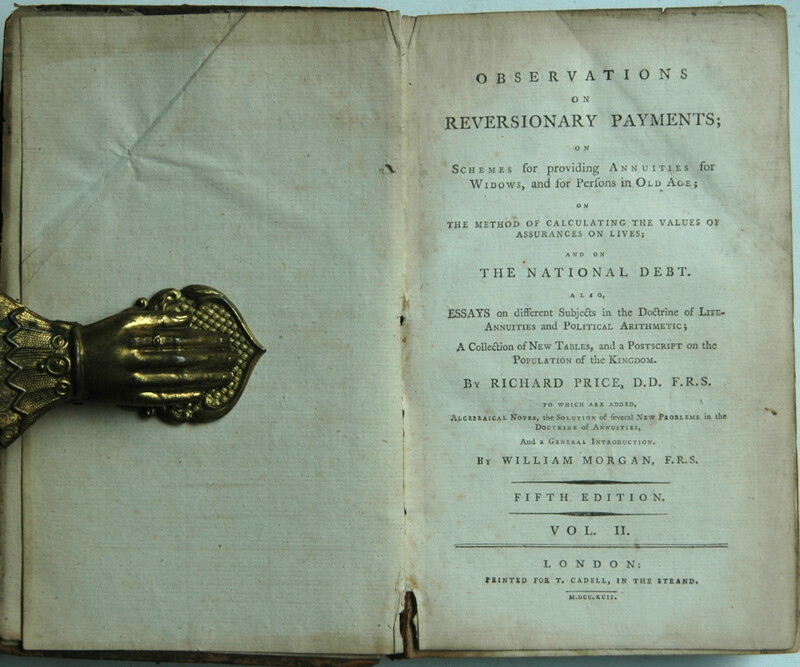 Published in London by Cadell, 1792. 8vo format (13.5 x 21 cm). lxxxiv, 372; (2), 492, (21) printed pages. Full contemporary speckled calf, rubbed and joints split. Some contemporary marginal notes in ink. Many tables and mathematical formulae. VG- but a good candidate for re-backing. 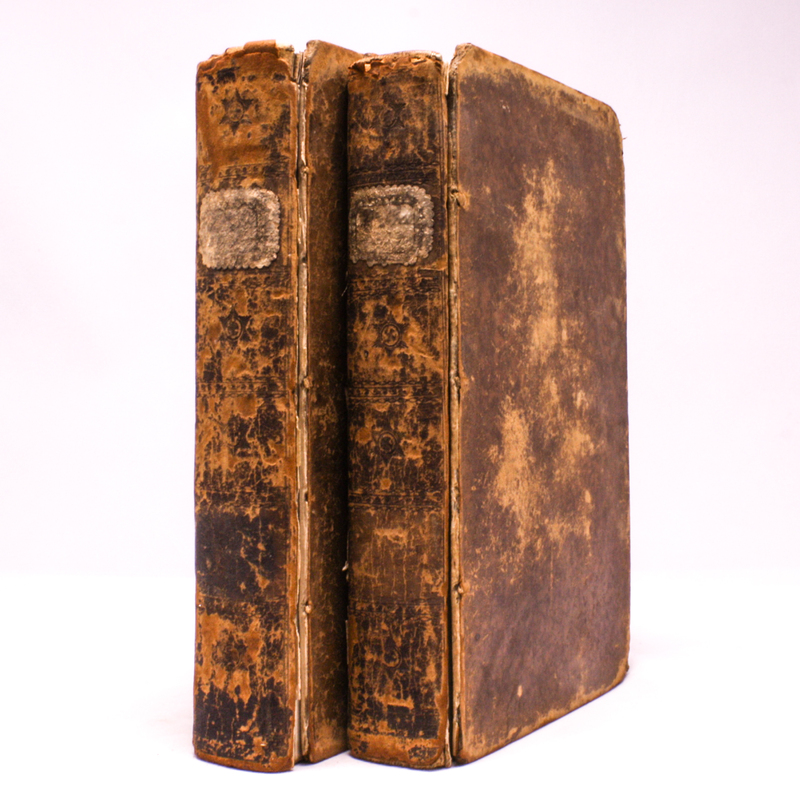 Condition: Good, but the front and back covers on both books have disattached.